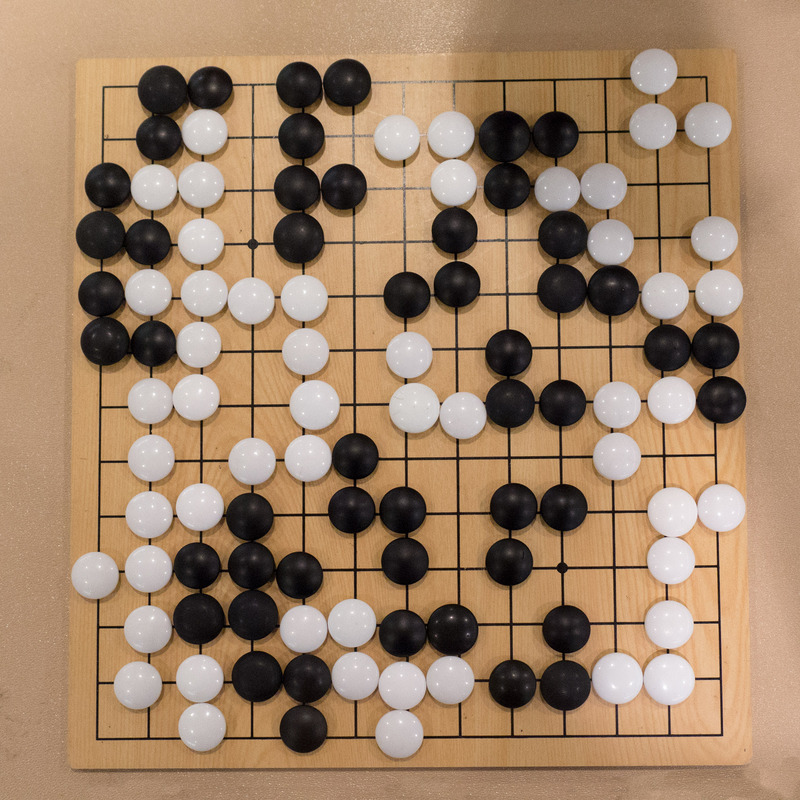 “Go is like life.” It’s a common claim—and true. But go is also like death. Every game comes to an end and every player eventually plays their last game. Is that a bad thing? With individual games, even if you lost, you always made some good moves and there’s always next time. But what about that final game? Does the fact that it’s inevitable mean that playing is a waste of time? Of course not. Each game is an end in itself. You don’t have to play forever for them to be one of the best parts of life. The same goes for all of life’s games. The fact that they come to an end and there is no continuation does not undermine the enjoyment or the significance of life. A lot of people seem to be confused about that. Registration for the 2018 US Go Congress has officially been launched. “Everyone has a lot of questions in planning for the summer, and we’ve got answers for (some of those) questions,” says Congress Co-Director Nate Eagle. Costs! How much coin of the realm this year will involve? Transportation. What are the best ways to get to Williamsburg? Who can I ask about…? Find out which volunteer is best suited to answer other questions you might have. 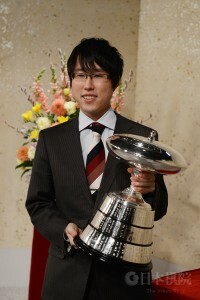 Iyama wins NHK Cup: The final of the 65thNHK Cup was telecast on March 18. 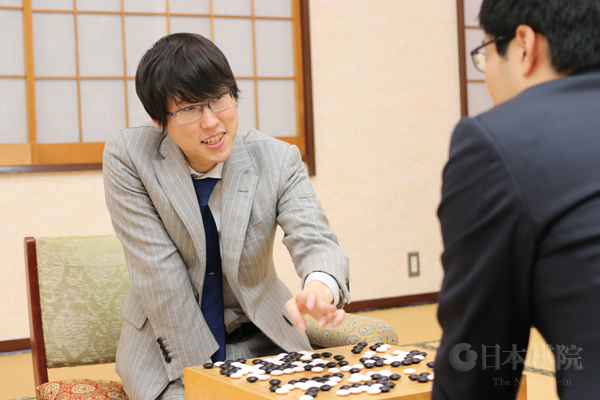 Playing black, Iyama Yuta, the current titleholder, defeated Shida Tatsuya 7P by half a point. Shida narrowly missed out on his first title. He took the lead in the middle game, but Iyama fought back tenaciously and eventually overhauled him. After that, the tables were turned, with Shida threatening to undo the upset, but Iyama just managed to fend him off. He is the fourth player to win the title in successive years. This is his 50th title (actually, the game was recorded just before he defended the Kisei title, so that is really his 50th). Meijin League: Here are the details for the result given in my previous report: Shibano Toramaru 7P (W) beat Yo Seiki 7P by resig. Honinbo League: An important game was played on March 22. Yamashita Keigo (W) beat Ida Atsushi by resig. Previously, Ida had enjoyed the sole lead, but now he and Yamashita and Ko Iso 8P were tied on 4-2. The final round will be played on April 5. Yamashita and Ko will play each other, and Ida will play Shibano Toramaru. Iyama extends lead in Judan: The second game of the 56th Judan title match was held at the Toda City Culture Hall in Toda City, Saitama Prefecture, on March 22. Iyama Judan (B) fought aggressively and took an early lead. Murakawa Daisuke 8P, the challenger, recovered and made the game closer. He then made an aggressive invasion, but his group was killed, so he had to resign after 215 moves. This was Iyama’s second straight win, so Murakawa is faced with a kadoban. The third game is scheduled for March 12. Round 1 (March 14). Fujisawa Rina 3P (Japan) (B) beat Natalia Kovaleva 5D (Russia) by resig. ; Yu Zhiying 6P (China) (B) beat Xie Yimin 6P (Japan) by resig. ; Choi Jeong 9P (Korea) (W) beat Mukai Chiaki 5P (Japan) by resig. ; Hei Jia-jia (Joanne Missingham) 7P (Taiwan) beat Nyu Eiko 2P (Japan) by resig. Semifinals (March 15). 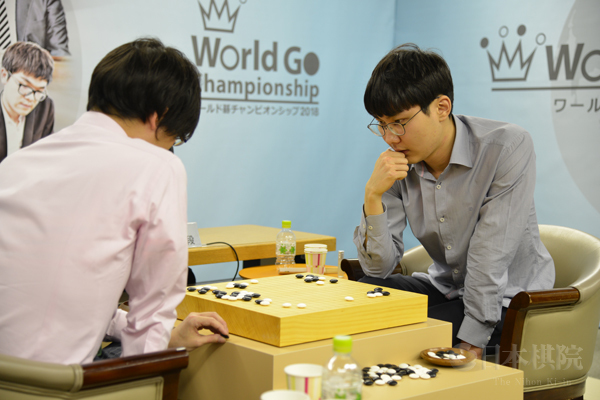 Hei (W) beat Fujisawa by 1.5 points; Yu (B) beat Choi by resig. Final (March 16). Yu (W) beat Hei on time. Play-off for 3rd place (March 16). 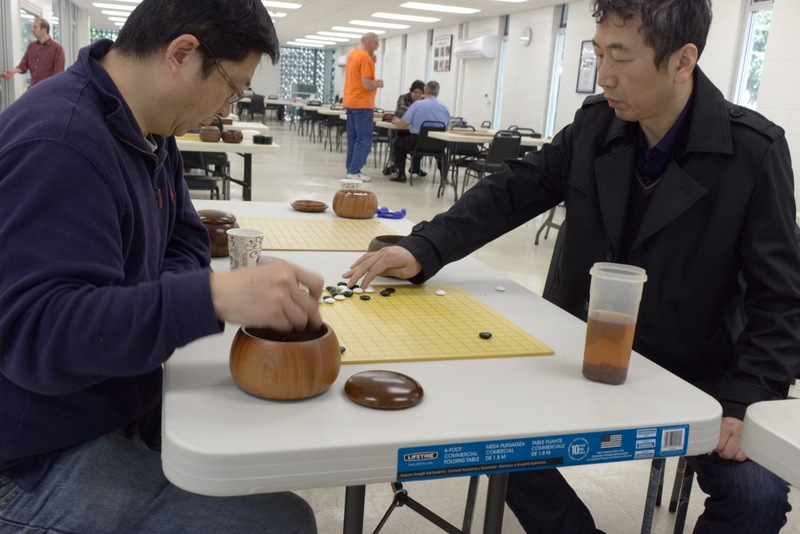 Choi (W, at right) beat Fujisawa (left) by resig. Round 1 (March 17). Yamashita Keigo 9P (Japan) (W) beat Wang Yuanjun 8P (Chinese Taipei) by resig. ; Ke Jie 9P (China) (W) beat Shin Jinseo 8P (Korea) by resig. (Semifinals) (March 18). Park Junghwan 9P (Korea) beat Ke Jie by resig. 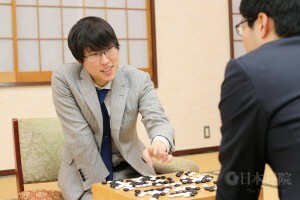 ; Iyama Yuta 9P (Japan) (B) beat Yamashita by resig. (Final) (March 19). Park (W, at right) beat Iyama (left) by resig. In this tournament, Park was seeded into the semfinals as the previous winner. Iyama was seeded on the wishes of the sponsors. Yamashita earned his place by winning a qualifying tournament. Shin (aged 18) earned his place as the second-ranked player in Korea and Wang (22) as the top-rated player in Chinese Taipei. Seeding the previous winner is common (for example, the TV Asia tournament does it), but not everyone approved of the seeding of Iyama. Ke Jie commented at the press conference: “I was surprised by the seeding.” However, it was just the luck of the draw that matched Ke and Park, the world’s top-rated players (apparently, Park has recently regained the number-one position) in the semifinal. After his loss in the final, Iyama’s career record against Park was 2-4. The Seattle Go Center will soon be taxing empty triangles, according to General Manager Brian Allen. This will be for all games played at the Go Center, including those made during open play periods on Tuesdays and Saturdays. “Our expenses are going up on many fronts. The new Seattle sugar tax has increased our cost of fruit juice and soda as much as 50%, and the cost of delivered pizza has gone up twice in the last 6 months.” The proposed rate is $.50 per empty triangle created on the board. 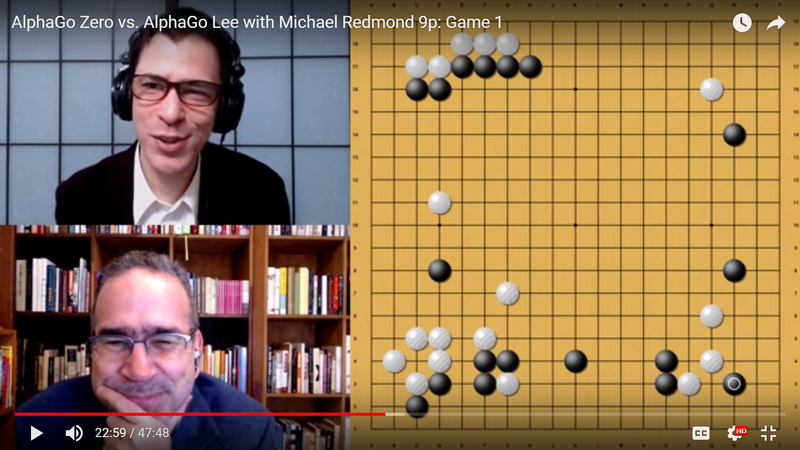 Click here for Redmond’s video commentary, and see below for the sgf commentary. To support this content, please consider joining or renewing your membership in the American Go Association; click here for details. NOTE: The original video was mis-titled as AG Zero vs Master Game 8 (which is forthcoming soon); we apologize for the error. 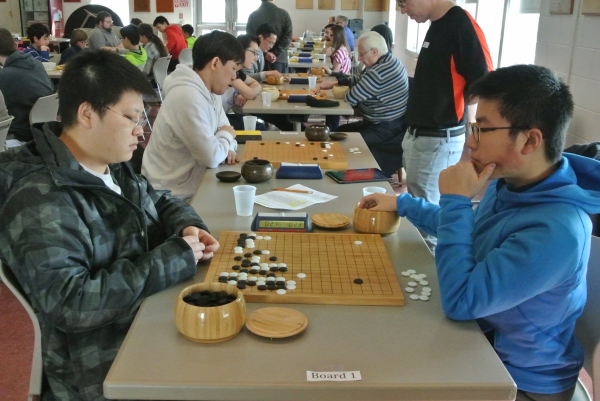 “Registration for the 2018 American Go Honor Society (AGHS) School Team Tournament is now open through April 16th,” says Promotion Head Gabby Su. “This year, the K-12 tournament will be held on Saturday, April 21st and Saturday, April 28th, with two rounds per day. In order to be eligible, teams must be an educational institution where subjects other than go are taught. Players must be under the age of 20 and cannot have graduated from high school. The top three teams from each division will receive prizes, including money, trophies or medals, and custom AGHS T-shirts.” For more information, click here. To register, click here. Thirty-two players, some traveling from as far as Massachusetts, New Jersey, and Pennsylvania, competed in the Salt City Tournament on March 24. 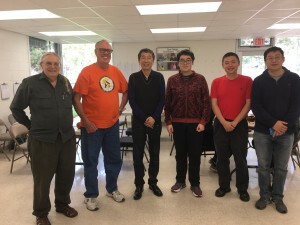 The 4-round tournament in Syracuse, NY included fifteen students this year, and one of them, 16-year-old Zhengbokang Tang 8d, shared top honors in the Dan division with Qirui Chen 5d, both finishing with 3-1 records and taking home $80 apiece. Yunhan Li 1d claimed the $40 third place prize. Phil Tracy 5k, Bob Crites 6k, and Eric Hookway 9k all w on three games to finish at the top of the SDK division, and Theo Eckert-Budis 15k, Casey Beach 16k, and Noel Kinnear 11k were the first three finishers in the DDK division. Every player was able to take home a prize at the end of the day, with most choosing to select a new go book from Slate and Shell. 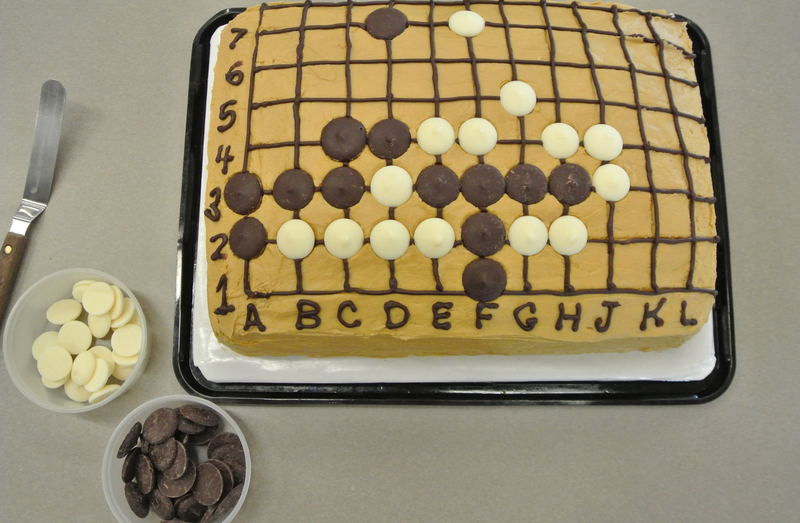 The tournament’s traditional Problem Cake (left) was easier than usual; three quarters of the players correctly submitted black’s first move. Last weekend, at the San Diego Go Club’s spring go soiree, Chinese professional Jai Li was welcomed back to the city by more than two dozen attendees. Jai Li, a 5P Chinese professional, and his wife, Ya Wen, last week relocated to southern California from China. They both attended last summer’s Go Congress in San Diego and brought students from their go school in China. The club was honored that he would play a simultaneous exhibition at the soiree against six of the club members. The Lis were accompanied by their son, Bochen, who is a PhD student in Artificial Intelligence at the University of Rochester. Bochen, who is a go enthusiast himself, acted as the official translator for his parents. 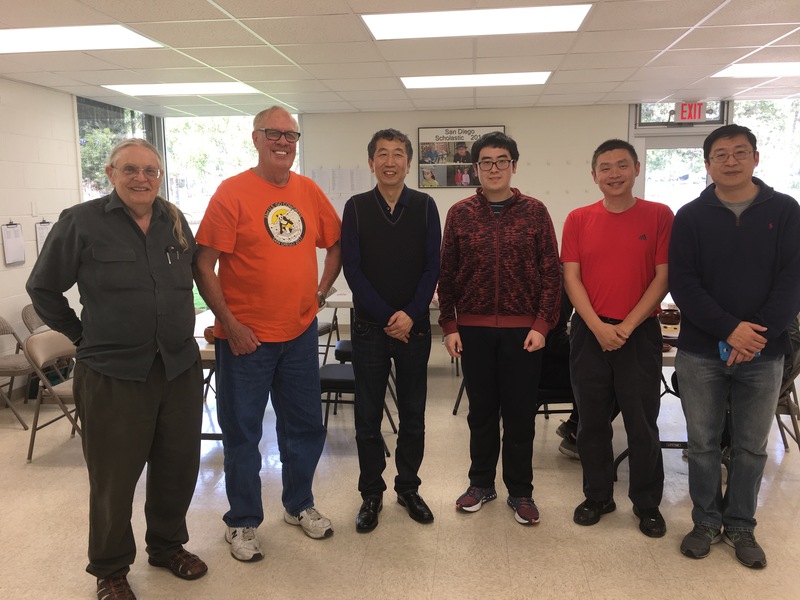 The Club was hosting its first event at the newly renovated San Diego Chess Club which is in Balboa Park. The Chess Club is a beautiful facility seating 100 for competition and has a separate lecture room big enough for 30 attendees. Included in the building is a large office, several storage areas, bathrooms and a large patio with picnic tables. 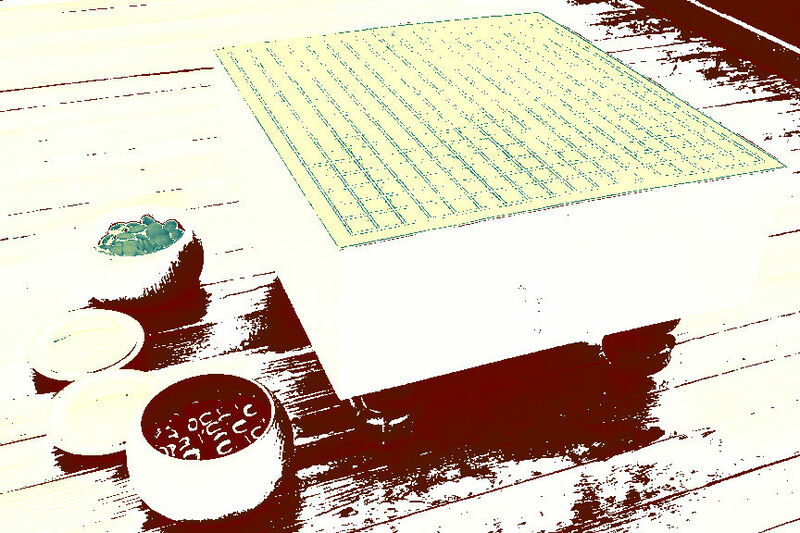 While still in the planning stage, the SDGC is hoping to have a series of go lectures by Jai Li and Ya Wen at the chess club on Sunday afternoons. The facility is large enough that Jai can be teaching the stronger dan and kyu players in one room, while Ya is working with the younger and less experienced players in another. Ya Wen is an outstanding go teacher of youth, having developed advanced go teaching methods in China. 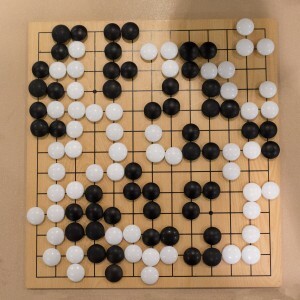 photos: (top right) Henry You (left) taking on Jai Li as part of a simultaneous exhibition; photo by Ephraim Borja; (bottom left) Arunas Rudvalis, Ted Terpstra, Jai Li, Bochen Li, Yixian Zhou and Henry You at the San Diego Go Club Spring Soiree; photo by Ted Terpstra.